Want to get the best out of your customer satisfaction surveys but don’t know where to start? Let Gene Reynolds educate you in a simple technique that can make a power of difference to your business. I went on a special holiday last year for our anniversary (it was lovely, thanks for asking). On our return home on the coach, each and every one of us was handed a customer survey document, which was about the size of some company annual reports with a small cup for a urine sample sat on top. We were encouraged by the obviously hyperactive tour rep that we could win a holiday if we completed the survey by the time we reached the airport… Ah, a challenge! Okay, so I made some of the above up. But my initial perception of the survey was indeed one of length. Why is it that they were so keen to know whether there was lavender in the bathroom, or how many slats were holding up the bed? I mean: aren’t they supposed to know this in the first place? My gripe is whether these companies are truly focusing on the right thing. And it doesn’t stop there. I’m sure that each and every one of us has been there. From eating in a restaurant to buying a bed, someone, somewhere has a customer satisfaction form for you to fill out. And I’m sure those surveys don’t give to the business the key information they are looking for. And why indeed are companies so interested in the scent of the bathrooms or whether the aisles are clean? Do they really think that by focusing on this detail, they are getting the information they actually need? All companies need to be profitable to survive. And to do this, they need to create happy customers. But happy customers don’t just happen. They need to be created and they need to recommend their friends and colleagues to use your products and services. That’s the key to profitability. Asking a customer to score the friendliness of the check-in staff is no indicator that they’re going to make you money. Fortunately, there is a new approach in the world of customer satisfaction surveys that has the market research people quaking in their boots. 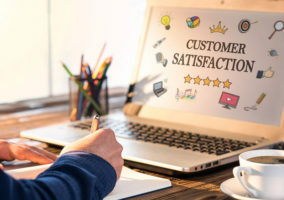 In the Harvard Business Review (HBR) some years back, a small article by Frederick Reichheld appeared on the subject of customer satisfaction surveys and the connection between those surveys and corporate growth. 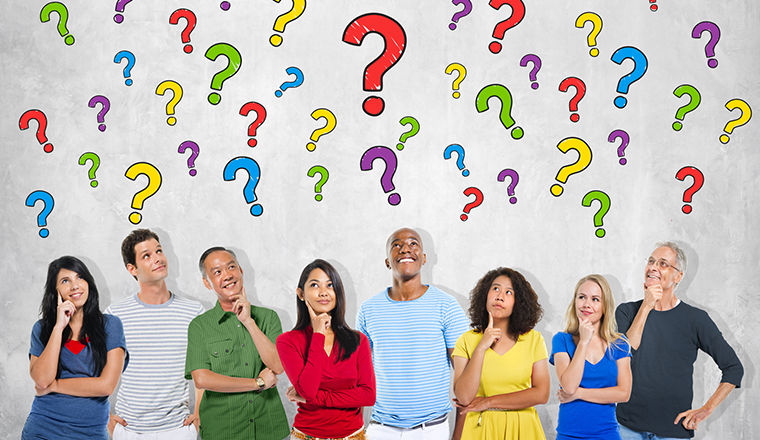 The author spent some years investigating different questions across different vertical markets to determine which questions were the most potent. The idea was to ascertain not only customer satisfaction, but the potential for growth within a business. And, to coin a phrase: “By George, I think they’ve got it”. Consider this: a single question on a form which asks “on a scale of zero to ten, how likely would you be to recommend our product or services to a friend?”. Yes, friends, you have just received the holy grail question that transcends vertical markets and cuts to the very heart of what all companies ultimately want to know about their customers: whether they are happy with your company – whether they will actively promote your product or service, thus bringing in more customers and growth. The concept is called ‘net promoter’. And, while other companies are using a double-barrelled shotgun, this might just be your golden arrow. Once you have started to imbed this way of thinking in to your team, it’s only a matter of time before scores should start to improve. It will also highlight areas of your business where you need to focus on improving customer satisfaction. If you’re a company with a large retail estate, you can identify which shops offer a higher net promoter score than others. If you run multiple contact centres, with multiple brands or products, it’s easy to determine the net promoter score there too. As your net promoter score increases, so will your profits. Some of the best companies in the world are getting scores of nearly 80%. It has been proven in nearly every vertical market going. But overall, the median score for net promoter is only 16%, so don’t be too worried. No one has really focused on this single question before. So, in conclusion, net promoter delivers a clear message to your employees – as well as your customers – that you are interested in the ultimate expression of customer loyalty. You have now simplified the entire survey model. Your whole company is now on board with how they can directly influence that score. Your score goes up, your profits go up. Your customers are delighted, and you’ve just made the world a better place to live. Now go and book yourself a really great holiday. You’ve earned it. The most effective question across different industries is “On a scale of zero to ten, how likely is it that you would recommend [Brand/Company X] to a friend or colleague?”. Provide a consistent scale, where zero means not at all, five means neutral, and ten means extremely likely. Resist the urge to add additional questions to the survey. Additional questions tend to dilute the overall potency of the answers. How strongly do you agree that [Brand/Company X] deserves your loyalty? How likely is it that you will continue to purchase products/services from [Brand/Company X]? Calculate the percentage of customers who respond with a nine or a ten (promoters), and the percentage who respond with a zero to six (detractors). Subtract the number of detractors from the number of promoters. This is your net promoter score. Don’t be too alarmed if the number is lower then you expected. The median net promoter score taken from the HBR surveys was only 16%. You can conduct this simple analysis across different parts of your business to determine where you need to focus your energy on improving products or service. The beauty of this survey is that anyone in your business can understand the mechanics behind it. Also, because it’s so straightforward, your employees can buy into it and begin to change their attitude and behaviours so that every customer can become a ‘promoter’. Keep a track of your score against your overall profitability. As your net promoter score improves, review your profitability again; there will likely be an improvement in your gross profit, not to mention aiming for the highest levels of customer service. World class customer service levels from companies who use net promoter – such as eBay and Amazon – have a score of between 75% and 80%.